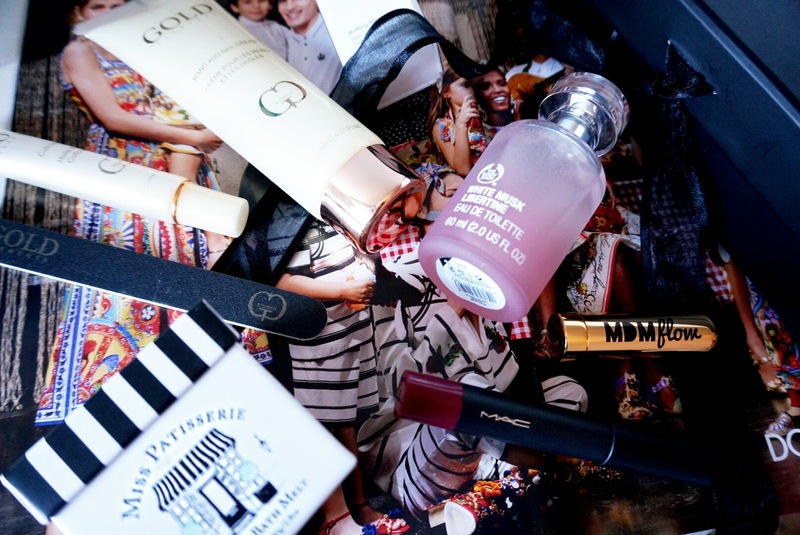 Welcome to THE VANITY EDIT #9 , sharing all relating to NEW skincare, body, make-up and hair-care items. THE VANITY EDIT series is available here. I went to London in March and picked up a couple of things that we can't get up in the north. Along with that my normal Birchbox and Cohorted subscription are available to read. 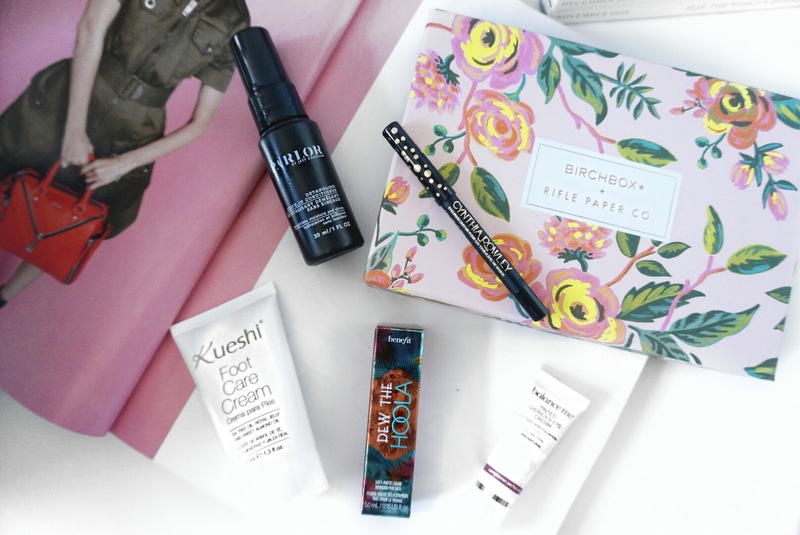 I was most excited about the Benefit Dew The Hoola in this month's Birchbox. Dew the hoola is the hoola bronzer in liquid form which can be used under or over foundation. It makes my skin look a lot more healthy rather than it's pasty colour right now. 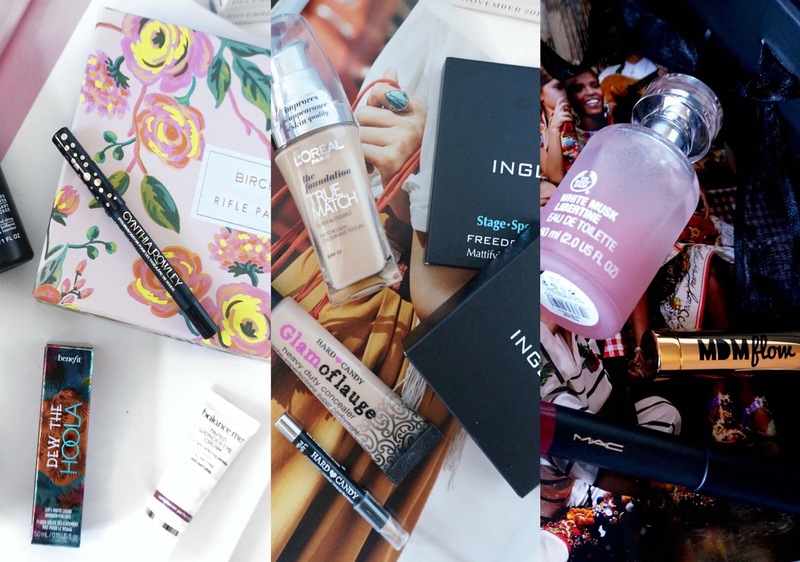 My full post on April's Birchbox is available to read here. In my April Cohorted Box I received 5 main items. Cohorted is great for discovering new brands and products, I was quite excited to see MAC's Patent Polish Lip Pencil in the shade Ruby. This is a lip balm type of product and has a slight tingly effect. I really like the colour I have received. Full post is available to read here. As mentioned before I went to London at the end of March and picked up some beauty items that I have not seen up in the North. 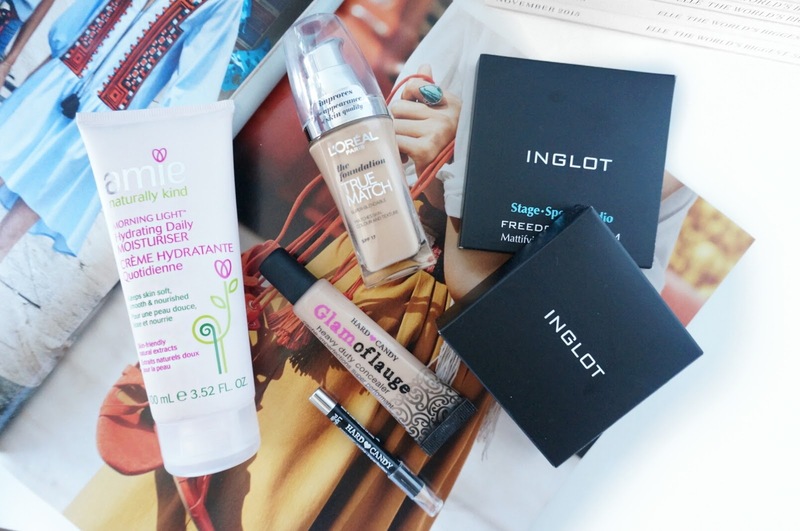 I picked up some things from Inglot and some skincare from Ole Henricksen. I've also been looking for a heavy coverage concealer and picked up the Hard Candy Glamoflage kit. And as you all know, Loreal Paris changed the formula of the True Match foundation - I really do not like the new formula as it has too much shimmer. I found in my local T J Hughes the discontinued version and my trusty daily moisturiser. 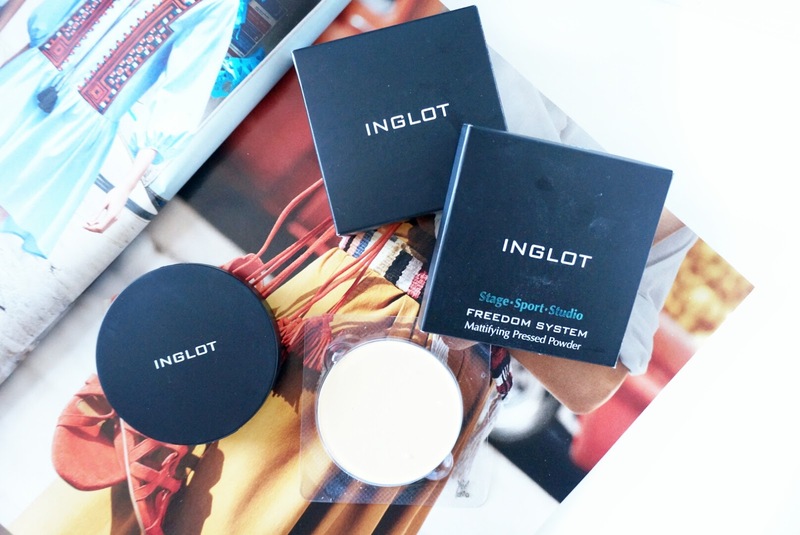 From Inglot, I picked up a yellow toned powder as I am running low on my NYX banana powder. NYX's version is good but I think the Inglot version is going to better. The powder is in a pan, which retails for £11 each, I bought the pot to store the powder which was £6.50. I can just repurchase the powder when I run out and reuse the packaging. 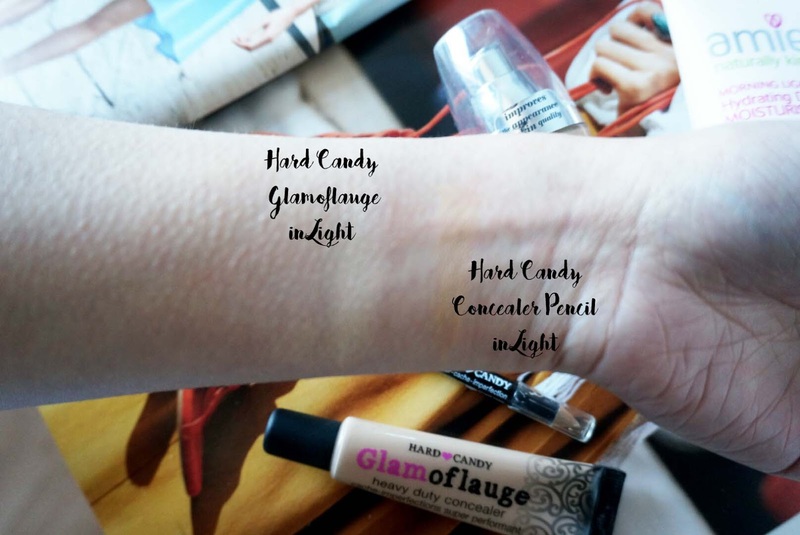 I was looking for a heavy duty concealer and I heard that Hard Candy Glamoflage is a dupe for It Cosmetics Bye Bye Undereye - which is now coming to the UK soon. I bought this kit from Ebay for about £10 with the concealer pencil too. So far this has been working really well and you only need a tiny amount. I only use this for my undereye area. Lastly the Ole Henrikson gift set, I stumbled upon this in Debenhams Westfield London, I have used up the Truth Serum Collagen Booster - which worked wonders for under my eyes. I wanted to try out the Eye specific product from this brand - ultimate lift eye cream and ultimate lift eye gel. This set retails for £29 which is a bargain considering the melting cleanser retails for £24 alone. That all for my new additions. I hope you've enjoyed it. Until next time!